I told you on Friday about a study that found out why so many dieters have trouble losing weight and keeping it off. A big part of the problem is that most of them don't eat enough protein. But the researchers also found that an herb can really help keep the weight off. In this study, the researchers did three phases to find their results. In the first phase, they gave 12 men and 12 women who were slightly overweight a calorie-restricted diet. In the second phase, they did the same thing, but gave them more protein. They found that the protein kept the dieters from getting hungry and going off their diet. Then, in the third phase, they tried capsaicin. Capsaicin is a nutrient found in chili peppers. It's the thing that burns your mouth. Previous studies have shown that capsaicin increases both resting metabolism and fat metabolism. So it seemed like it might just be the thing to counteract some of the nasty effects of dieting that the researchers were seeing. In this third part of the experiment, the researchers put the men and women back on the regular diet, but this time they gave them capsules containing capsaicin. The results were remarkable. The capsaicin not only prevented the decrease in resting metabolism and fat metabolism, it also prevented the decrease in diet-induced thermogenesis. And that's not all. By doing all of these things, it blocked any feelings of hunger and also increased EE. 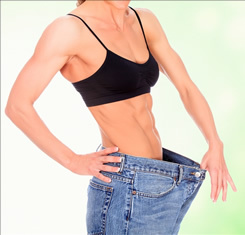 Basically, it reversed every single negative effect of a weight-reduction diet. Pretty good for a completely natural and incredibly inexpensive supplement. But our researchers were not done yet. They reasoned that if a higher protein diet worked better than a regular protein diet, and if capsaicin had all these great effects, the combination of both of them might just be the ultimate ticket. So that's what they did. They combined the high protein diet with the capsaicin capsules. And predictably the results were even better. Here's what the authors said. "Our results suggest that protein and capsaicin, consumed singly or mixed, counteracted the diet-induced effects on hunger and EE. During energy restriction [dieting], protein and capsaicin promoted increased fat metabolism and protein treatments also prevented a negative protein balance [loss of lean body mass]. I can't wait to try this out with my patients. But you can do it at home. Here's what you do. First of all, you need to know how many calories you need to restrict your diet to. There are two ways to do this. The best one is the one I use. Get your optimal calorie intake measured from a doctor who uses Bio-Energy Testing. You can find a list of them at http://www.antiagingmedicine.com/treatments/bio-energy-testing. The other way to do it is to monitor what you eat for a week. Then determine the amount of calories, divide by seven, and multiply by 0.8. Here's an example. Say you find out that over a one-week period, you ate 11,375 calories. Divide that by seven and it comes out to 1,625 calories per day. You multiply that by 0.8 and get 1,300 calories. So you will need to restrict your calorie intake to 1,300 calories per day. But that's not all for the absolute best results. The best balance for your diet is 40% carbohydrate and 30% protein. So the carbohydrate content of your 1,300 calories should be 40%, or 520 calories. Since carbs are four calories per gram it comes out to 130 grams per day. For protein, the amount is 390 calories. And since protein is four calories per gram, that comes out to 97 grams per day. You can go online to find out the calorie, carbohydrate, and protein content of various foods. Or you can just consult a nutritionist and have her set it all up for you. And then comes the capsaicin. Get the 450 mg cayenne capsules from Nature's Way. You can get this online. Take three per day. That will give you just a little bit more capsaicin than what was used in the study. I suggest one with breakfast, lunch, and supper. And if you don't want to count calories, I'm betting that many of you will be successful simply by taking the cayenne capsules and pushing away from the table before you eat what you usually do. But don't forget this. After you lose the weight you are only on first base. That's because your body is going to want you to regain the weight. 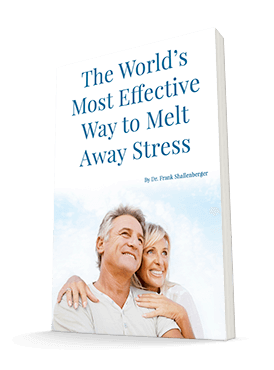 It does that by decreasing your resting metabolism, fat metabolism, and diet induced thermogenesis. And it can do that for as much as 12 months. So continue to watch the calories and take the cayenne capsules for the next year just to make sure that this is the last time you will ever need to lose weight. Smeets AJ, Janssens PL, Westerterp-Plantenga MS. Addition of capsaicin and exchange of carbohydrate with protein counteract energy intake restriction effects on fullness and energy expenditure. J Nutr. 2013 Apr;143(4):442-7.